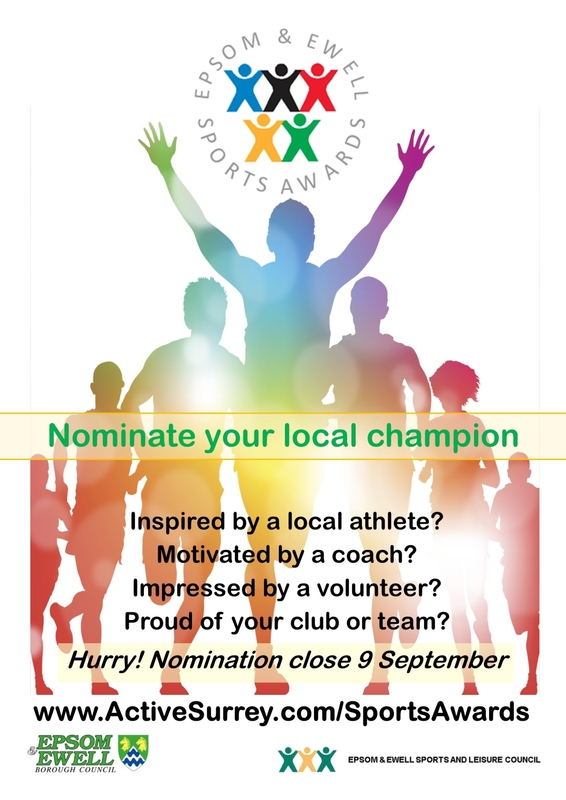 Do you know a local sporting hero that deserves to be recognised? The Epsom and Ewell Sports Awards are organised by Epsom & Ewell Sports and Leisure Council, in partnership with Epsom & Ewell Borough Council and will be held on Tuesday 16 October at Epsom Downs Racecourse. For nomination criteria for each award and to nominate visit www.activesurrey.com/sportsawards and select Epsom and Ewell as your region. Nominations close at midnight on Sunday 9 September 2018.